This collection includes accent furniture for your living room. Beautiful coffee & end tables, contemporary end tables, round accent tables, glass end tables, wood end tables - great selection of living room tables. 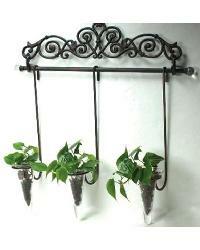 From wall decor, to planters, to garden accessories. 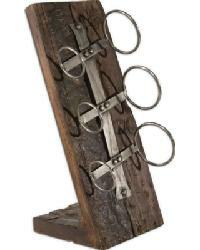 A great selection of one-of-a-kind outdoor accessories to spruce up any patio or garden. Officially licensed military rugs now available for the Army, Navy, Marines, Air Force and Coast Guard. 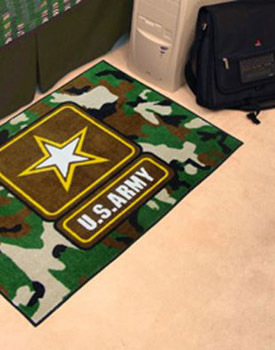 Show your pride and support of our troops with these durable and great looking area rugs. 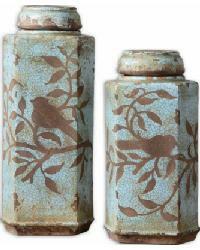 Classic and contemporary bottles, jars, containers with lids and more for decorating your home. 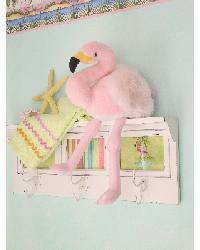 Perfect for mantels, kitchen decor, bookshelves and more. 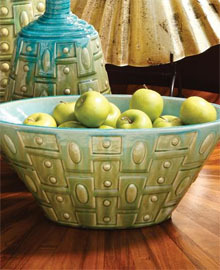 Bowl Fillers are a great way to add an accessoral splash of color or textural interest to your homes decor. 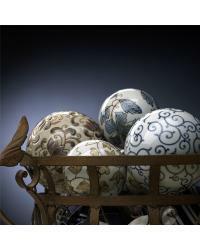 These decorative balls are great for bowls, trays, baskets or for a unique gift. 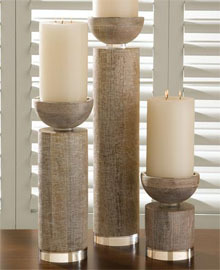 Chose from many different styles of candle holders and candelabra. 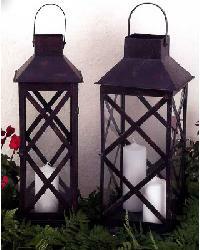 Metal, Nickel, Glass and Wooden Candle Holders are some of the many offered. 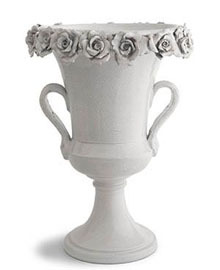 The Classic Vase collection is an assortment of timeless design and traditional inspiration. 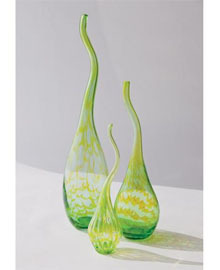 These vases feature etched floral designs and antiqued handblown glass which add a classic touch to any homes decor. The Contemporary Plates and Bowls Collection includes decorative bowls, plates and compotes that will add a modern look to your homes decor. 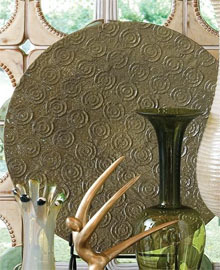 These contemporary bowls and plates are presented in a variety of materials including: metal, nickel, glass and ceramic. The Contemporary Vase Collection is a melange of modern as well as contemporary styled decorative vases. The contemporary vases include an assortment of glass, ceramic and cylinder vases in bold colors and styles perfect for your modern home decor. An assortment of stunning jeweled, metal and leather crosses to accent your home decor. 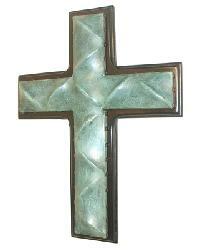 Add elegance to your home when you showcase these dazzling decorative crosses. 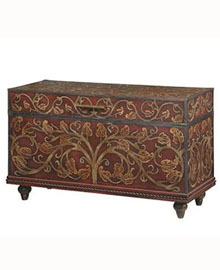 Unique collection of decorative boxes and trunks perfect for homes decor or as a gift idea. The decorative boxes come in a variety of sizes while the trunks are a perfect accessory item for your home decorating. Metal and resin charger plates, wall plates and traditional native american medicine plates. Charger Plates for mantels, bookcases, shelves or any home decor accessory project. 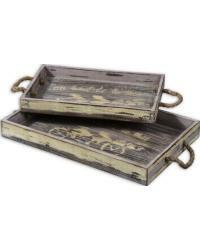 Wood serving trays and decorative trays for your home. 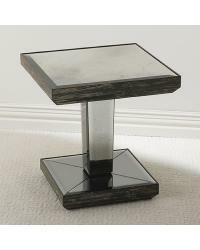 Rustic wood trays and contemporary mirrored trays. Unique one-of-a-kind home decor and home accessories perfect for decorating your home or office. These exotic artifacts and antiques provide a flair for the unusual and will give your home an air of inventive decorative elegance. 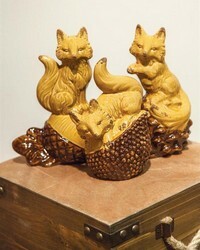 Statues, figurines and collectibles including animals, people and unique sculptures for home decorating. 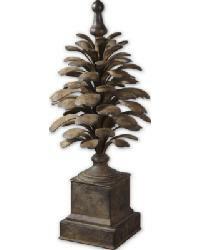 Finials for decorating mantels and shelves. Add the perfect touch to your home decor with a beautiful finial. 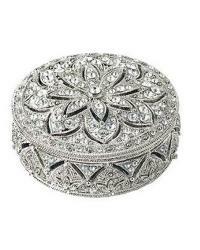 Beautiful jeweled trinket boxes by Olivia Riegel for your jewelry and as eye candy to accent your home's decor. These unique jewelry boxes will add style and elegance to your vanity when you showcase it with these ornate swavorski crystal jewelry boxes that are offered in a variety of designs. Olivia Riegel jewelry boxes make the perfect gift box for that someone special, as well as being great as wedding and shower gifts. 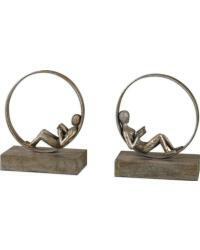 From book ends to mobiles, decorations for your kids room are in this collection. Lanterns are a unique way to provide light but are also great for centerpieces, outdoor lighting , mantle decor and holiday decorating. Whether you are an avid sailor or just like the look of a classic ship on your mantel this nautical boating collection is for you. 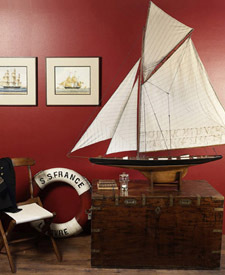 Accessorize your home with real scale models of sailing ships, famous yachts, half hulls and speedboats. The Office Decor Collection includes decor items perfect for your office or home. 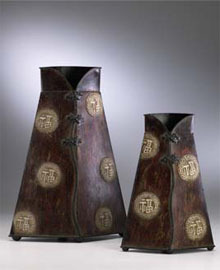 Unique and modern items include magazine racks and holders, paper weights, computer disk boxes and bookends . The Olivia Riegel Collection includes traditional jeweled frames, trinket and jewelry boxes, wine bottle stoppers, stemware, holiday stocking hangers and vanity accessories that are transformed into bejeweled creations for the home. Each Olivia Riegel piece is uniquely designed and finished by hand using dazzling combinations of Swarovski crystals, enamel and other luxurious materials. Olivia Riegel has unique gifts that everyone will love. 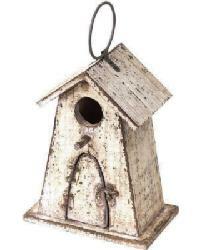 From bird houses and feeders to lanterns and patio furniture, choose from modern to funky and country themed decorations for your outdoor living space. Spruce up you patio with classic decorations. 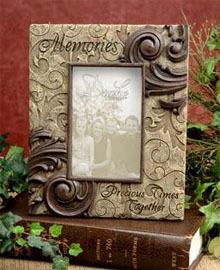 Relive your favorite photos and memories in style, with these gorgeous and stylish, one-of-a-kind picture frames. 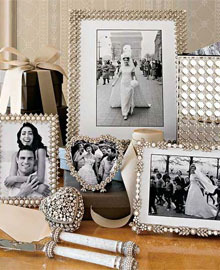 These decorative picture frames are available in many shapes and sizes to fit your photos. A lovely assortment of home decor and gift ideas for when you need something unique and stylish.